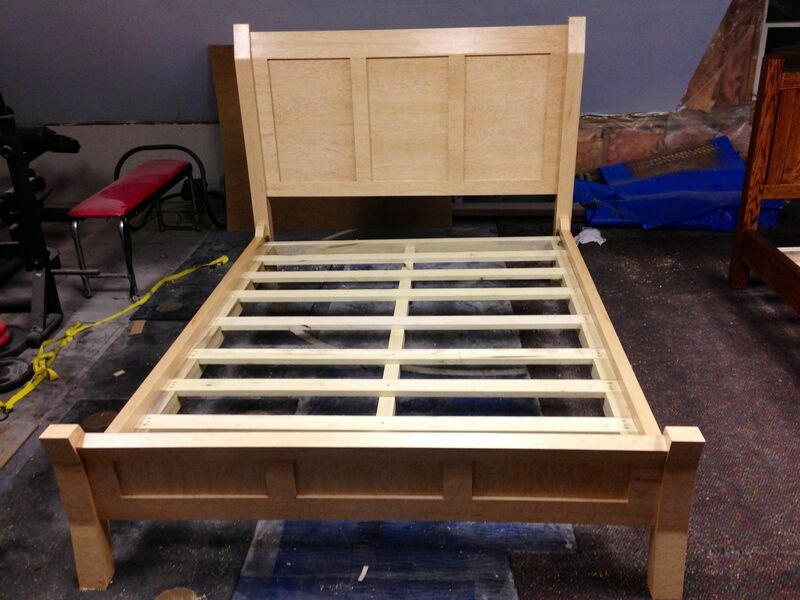 This queen bed is maple entirely out of solid hard maple with Birdseye maple veneer from head to toe. The rails are fastened with knock down hardware and bed bolts. Further details can be made available upon request.